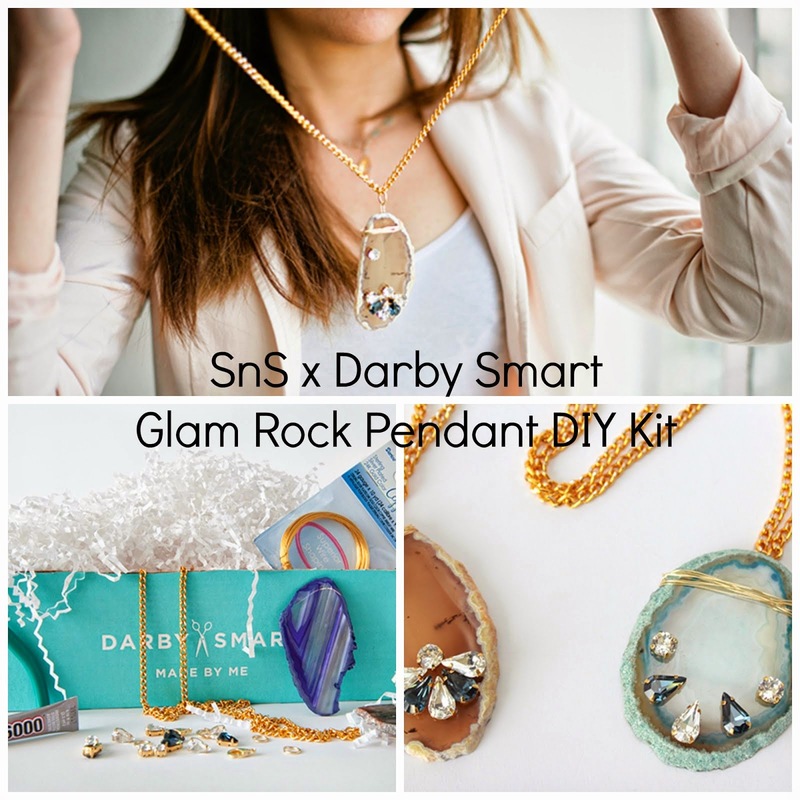 Smart n Snazzy: Swarovski Elements Create Your Style Giveaway! Swarovski Elements Create Your Style Giveaway! Now Swarovski is hosting a Pinterest contest that ends today, so hurry up and enter! It's super easy to enter, simply create a COLORful world board and pin at least 5 images of what a colorful world looks like to you, tagging each image with the hashtag #COLORfulWorld. Then leave a comment on one of their pins with the link to your board and you're entered to win a compilation of crystals to create your colorful world! That easy, you can do it in 5 minutes! GO NOW! Swarovski kindly sent me two Create Your Style DIY kits - one to review and one to give away to a lucky Smart n Snazzy reader! I'll be showing you the necklace I made soon, but it was so fun and the instructions are super easy to follow. Everything you need to create a beautiful piece of jewelry is included, just provide your own tools (pliers, scissors, measuring tape). These kits are valued between $50 - $100! One lucky reader will win the kit to make this beautiful rose gold tone necklace! Look at the gorgeous crystals and stones! Entering is easy, leave a comment below and let me know how you follow Smart n Snazzy (and please leave your email too, so I can contact you! ), and how you inject sparkle and color into your style! That's it! I'll pick one winner at random on Saturday, January 12 at 10 am MST. Good luck! Following via Bloglovin !! A little sparkle is always necessary in life whether it comes in small doses-earrings or in big ways!! I follow you via bloglovin! I add color to my life with tons of fun accessories! I follow you on Facebook (FB name: Madeline Brubaker). I make my own earrings to inject sparkle into my life! I totally need to check this out - sounds awesome! Following via blogger. I inject sparkle and color into my style by finding or making colorful necklaces.